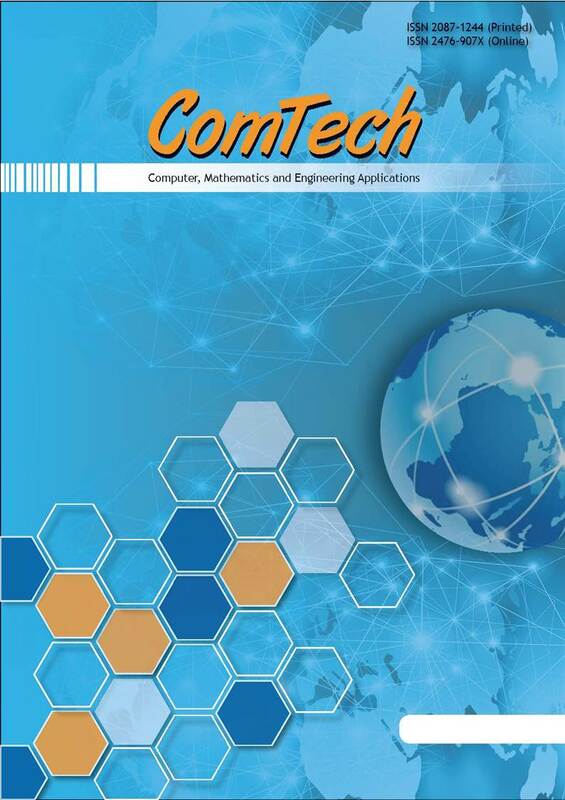 ComTech is a semiannual journal, published in, June and December. ComTech focuses on various issues spanning in Information Systems, Architecture, Civil Engineering, Computer Engineering, Industrial Engineering, Food Technology, Computer Science, Mathematics, and Statistics. ComTech has been indexed by CrossRef, ASEAN Citation Index, Directory of Open Access Journals (DOAJ), Science and Technology Index (SINTA), Microsoft Academic Search, Google Scholar, Academic Resource Index (ResearchBib) and Indonesian Research Repository (Neliti).